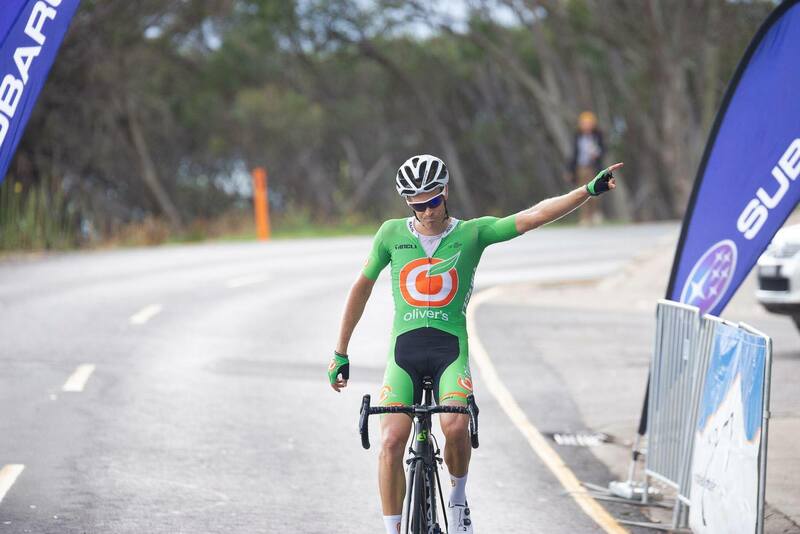 Jesse Featonby claimed victory on the 3rd and final stage of the Mansfield Tour after a strong showing by his Oliver’s Racing team on the 15km climb. Featonby claimed victory solo, but did not make up enough time back on eventual tour winner Sam Hill, or second place Morgan Smith who established a race winning time gap on a controversial stage 2 the previous day which saw the peloton pulled off the road mid-race for not keeping to the left of the road, which is a regulation for Cycling Victoria events. Oliver’s claimed victory in the team classification after a strong ride by Sebastian Presley saw him claim 5th place overall. Campbell Jones also delivered a strong supporting ride for the team after an outstanding 5th place finish in the opening time trial.